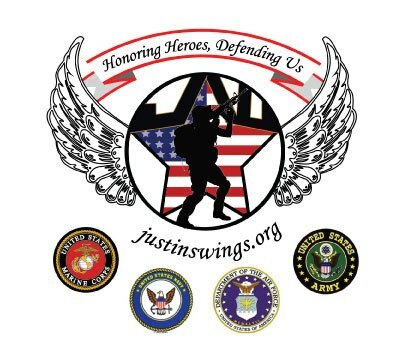 Justinswings.org in conjunction with Treasure Coast Cycling Association (TCCA) is hosting their 2nd Annual Riding for Heroes to benefit the LCpl Justin J. Wilson (US Marines) Memorial Foundation, Inc., providing military families in financial need seeking to be with their loved ones before or after their deployment. Those precious moments with his family were extremely important to Justin; this was evident in his posture, voice, and in his eyes. His last words to me will ring in my ears though eternity: He said, "I woke up to loud noises coming from outside my barracks and went to take a look. I saw people cheering with flags and banners as the buses from a previous deployment were coming home. I never felt more proud to be a Marine." As he was saying this he was staring at the faces of other men and women who weren';t as lucky - they had no family present. Suffice it to say that the financial burden was too great on these families to make the trip to see their loved ones off. They boarded this bus alone He said, " I need to know you';ll be here when I come home, cheering with flags and banners. I want that feeling again, promise you';ll be here for me. I love you." I did, and I was, unfortunately not the way he or I planned. Until that fateful night when I got that unforgettable knock on my door, it hadn';t occurred to me just how important Justin';s words were. It is through his words that this foundation was formed.